So I went to not one but TWO book events while I was in Britain last week. They were events for two newly published short story collections, and they were super fun! The first night, the author spoke at length of his love of the short story, then did two very funny and well-read selections from two of the stories in the collection, and I was so taken with the reading that I bought the book. The second night, the author spoke at length of his love of the short story, then did two very funny and well-read selections from two of the stories in the collection, and I was so taken with his articulate, intelligent praise for writers I love and respect that I bought the book. The first one was mediocre, decently written but full of very oddly antiquated fabular elements. The second one was so poorly written I couldn't finish. I won't name the authors here. I like them as people. 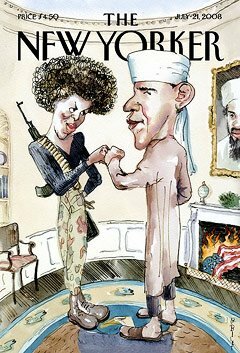 I think they both have a righteous and most excellent love of the form, even if their admiration for it doesn't translate into the ability to do it especially well themselves. Both of them spoke incredibly lovingly of what makes a great short story, and said insightful and clever things that I agree with. So really, when I put the second book down halfway through because the prose was too wooden for me to stomach without excreting sawdust later, all I wanted to do was pick up, well, a really great short story. write a book on lawn bowling that I wasn't aware of? Via SubtleTea, which has some great quotes of his. 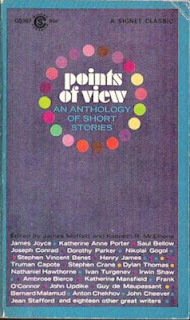 Points of View is an anthology, so, um, lots of people wrote it. It features some of the greatest, sharpest gems of short fiction from the first six decades of the 20th century, and some older stuff as well. As far as I know, these are the people who made short fiction what it is. I mean these folks are the serious heavyweights. The dudes and ladies who invented the kinds of endings that leave you gasping. The people who figured out how to make ten pages pack a punch. course I'm just jealous, right? about her work which you should totally read. Well, the cool thing about the collection (other than having dozens of amazing stories in it, geez) is the format. As the title implies makes glaringly obvious, it's all about points of view - so the stories are separated into groups based on the perspective that's being used to tell the story. Interior monologue, anonymous narration, epistolary communication - it's got a whole bunch of them lined up for you, and what's really neat is the way the stories in each grouping really fit together despite the total differences among them. Some are funny, some are serious, some are romantic, some are tragic, some are shocking - the collection includes Shirley Jackson's fanf!#&ingtabulous story "The Lottery," and if you don't know what that is for the love of god don't google it just read it please - and the grouping by narrative style provides a really intuitive and fluid connection between the pieces. It also keeps things fresh - as a reader, one short story after another can be a little exhausting, what with the constant switches in tone, style, content, and character. The manner of grouping gives you a kind of aha! moment each time you come to the next group, so that you have a new way to look at the stories you're reading every few dozen pages. It keeps them from running together - and, well, it's an excellent teaching tool, if you like that kind of thing. As for what each individual story is about, well, lots of different things, genius. (I know, I know, I asked the question, not you.) What holds them together is the shining awesomeness of the writing. These stories are masterworks. You might not like all of them, and that's fine and probably even good. But each one glows. 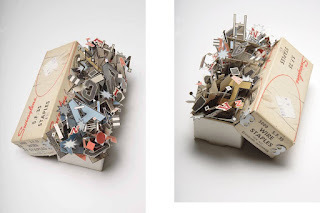 They are tight, sharp, gleaming examples of what can be done with a few words and a fine mind. Reading them is like eating from a tray of tiny little cakes, all of them different and every one of them intrinsically, heartbreakingly delicious. This book is delightfully fat and full of stories - the original edition has 41, the revised 44 - and the variety makes it perfect for reading almost anywhere. Take it on a plane or a long journey to somewhere, or your morning commute. Read it on your lunch break, or on the porch swing with a lemonade and the sun going down, or a park bench somewhere. Read the best ones aloud to friends and family. This is like a a small paper box full of the awesomeness of storytelling. That's why you should read it. The end. wonderful work of artist Sarah Bridgland, via The Best Part. .And because it will remind you of the total spellbinding beauty of words and the thousands of different ways there are to deploy them in such a way as to move the human heart. 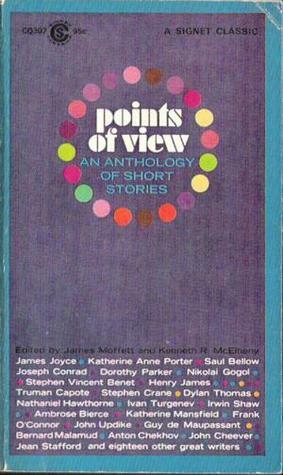 The stories in Points of View are, of course, exactly that - assorted, elegant, forthright, funny, touching, quiet, brash perspectives on how to tell a story and what a story can be. Drawing together these beautifully-crafted stories is a reminder that there's not one way to do it right, not one voice to have, not one topic that's important. I'd say that a pretty f!#&ing good thing to remember. I mostly not that into short stories; however, there have been a number of them that have been very influential on me. "The Lottery" is one of those. Also, "The Most Dangerous Game." I don't write many, either; although, I do have one, right now, that's kind of important, but that's because it's the intro to something else. Even though it's a story in its own right. I've never been that interested in writing short stories myself - mostly because I don't feel like I have what it takes to write a piece that packs the kind of punch I'd want. I feel more confident in my ability to write long-form. But me too with the influential thing. ("The Most Dangerous Game" is awesome.) Mostly Isaac Bashevis Singer and Bernard Malamud, though. I love them. actually think in this case it's just a matter of taste. love the blog. am rushing out to my local bookstore/shop to get a copy! I'd be really interested to hear what you think of the first one. I have a very specific set of criticisms, but I actually did enjoy it - just less than I thought I would after the extremely lively reading. 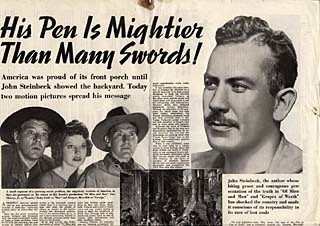 A few of the stories I found to be pretty dull, but a couple did have a really good classical short story wallop to them. Would love to discuss. Shame about the second book, but glad to hear I wasn't alone. I was mostly just surprised that nobody ELSE seemed to have edited it. I'll get back to you. Meanwhile fancy writing some reviews (reposting your reviews) for THE FACTORY? I sent that book to you. Let me know when you get it. I tried contacting the writer and she never responded. Ah, well. Have a great week!